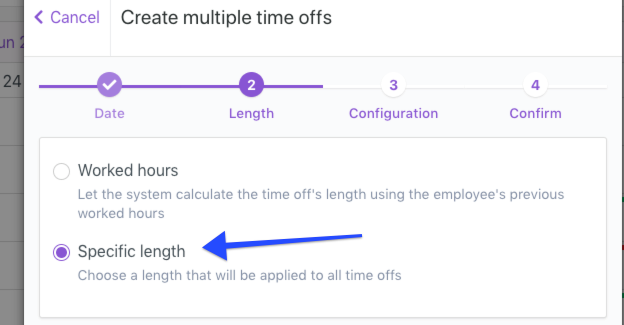 It is possible to add a time off to all employees at once. This bulk action is particularly helpful for Public Holidays. Pro Plan users can also automatically calculate the Public Holiday hours. More on that below. 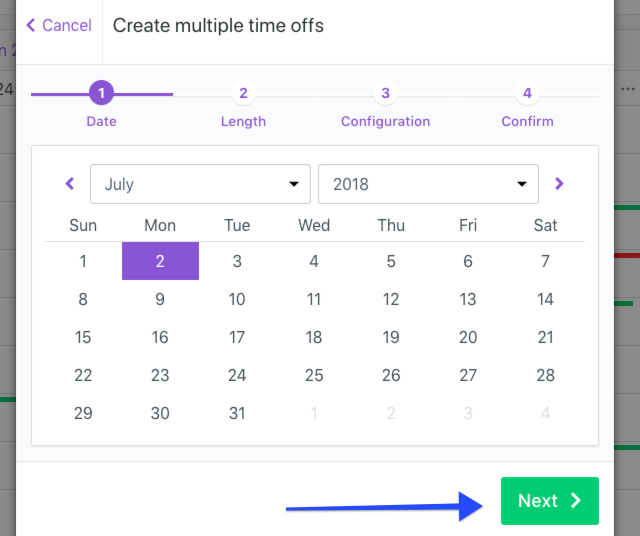 Click on "Create multiple time offs"
Base Plan users can choose a specific time off length that will be applied uniformly to all employees. 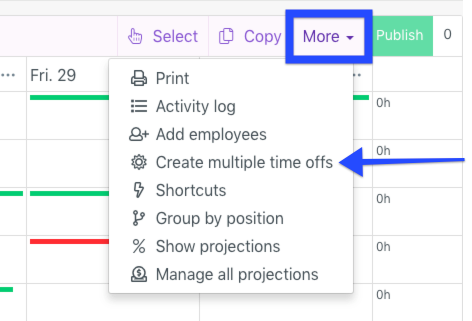 Pro Plan users can set a rule to automatically calculate the Public Holiday Pay hours based on worked hours. More on that here. After a validation message. All your employees will be added with a time off on that day.